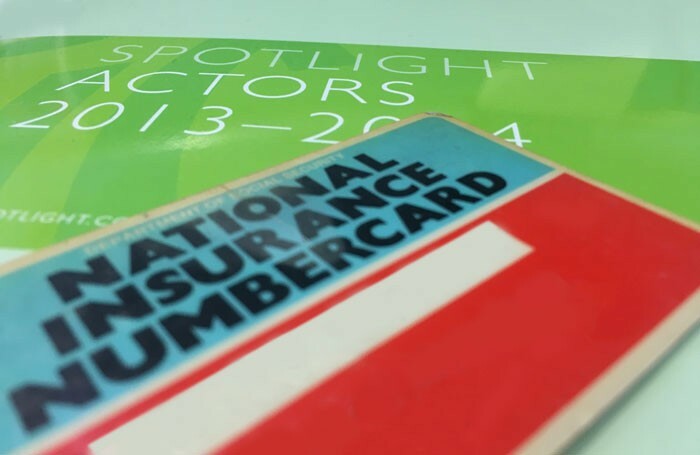 Struggling performers, stage managers and freelance theatre staff face a 500% hike in National Insurance payments. Equity has warned that the proposed changes could see low-earning actors forced out of the profession. The government is planning to abolish Class 2 National Insurance contributions – the category most Equity members pay – in a bid to align the National Insurance system more closely with income tax. It comes two years after tax reforms saw entertainers reclassified from employed to self-employed for NI contributions. The proposals could result in the lowest earning theatre workers being required to pay more to qualify for benefits, including the state retirement pension, employment and support allowance, maternity allowance and bereavement benefits. Currently, self-employed people earning less than £5,965 per year can pay a voluntary Class 2 contribution of £2.80 a week to receive these entitlements, however the government’s proposals will see the same group of people have to pay £14.10 – as part of a different NI class – for the same privileges. This equates to an increase of £587 per year. Equity has warned that the change would put “excessive financial burdens” on self-employed members seeking to establish themselves in the profession. “The removal of an effective safety net for this group [low paid self-employed] may simply result, in combination with other factors, in them leaving the profession thereby depleting the available talent pool going forward,” Equity said in an official response to the government’s consultation. “It is vital that the industry does not become, through an erosion of the benefits safety net or unfair treatment in taxation, a no-go area for those from poorer backgrounds or without parental support,” it added. Under the new plans, people earning between £5,965 and £8,060 per year would be on a ‘zero rate’, meaning they do not have to pay NI contributions, but still receive the benefits. In 2006, a survey by Equity and Skillset found that more than half of all actors earn less than £6,000 a year from performing work. Equity’s tax and welfare officer, Alan Lean, said the union welcomed the zero rate plans but said the proposals give little reason as to why they require the very lowest earners to pay more. “As the proposals stand they target people in low incomes… The 500% increase in what [those] members would have to pay is simply too big a burden for members on low income who are already struggling with other factors,” he added. Lean said the “punitive” plans were also at odds with recent government rhetoric, which has praised the value of the creative industries to the economy. The union’s response to government also said that the changes could reduce diversity in the industry in terms of black, Asian and minority ethnic performers as well as performers with a disability, who Equity said were generally on lower than average incomes. As part of its response, Equity has called on the government to look again at the contribution rates for the very lowest earners, taking into account the variable incomes that occur during self-employment. Dave Morrison, a partner at accountants Nyman Libson Paul, stressed that none of the proposals were yet guaranteed but said that in their current form they would be damaging to people on the lowest incomes. “It’s going to hurt somebody somewhere, there’s no doubt about that,” he said.